.Gift baskets with free shipping. 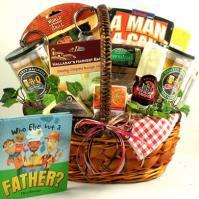 Gift basket delivery for the holidays, birthday, get well, thank you, sympathy, and gift baskets for all occasions. Adorable Gift Baskets delivers gourmet food, fruit baskets, flowers, balloons, unique mail order gifts and gift baskets to Yakima, Washington for holidays and all gift-giving occasions. Situated in a valley among the Cascade Mountains is the quaint town of Yakima, Washington. Yakima, WA offers about 300 days of sunshine, seasonal weather for skiing or snowboarding as well as warmer weather for boating, fishing, and kayaking at Yakima River. Yakima, WA was named as an ÏAll-America CityÓ in 1994 when it was recognized as a thriving, friendly, and beautiful community. Industry in Yakima, WA is made up of agriculture and forest products, the production of aircraft parts and supplies, machinery for use in food product packaging, and many local wineries. Yakima, WA is located in Yakima County as the county seat, and is tucked away in the foothills of the Cascade Mountains. The name ÏYakimaÓ was named after the Yakima River; its name believed to be derived from an Indian tribe name. The estimated population for Yakima, WA was 74,939 as of 2007. Nearby cities include Terrace Heights, West Valley, Union Gap, Selah, and Ahtanum. In history, Yakima, WA was settled by white people in 1858 after the Yakama Indians moved to a reservation. The first expedition into the Yakima region was led by Lewis and Clark in 1805. They announced that the land was abundant in wildlife and fertile soil. This news attracted many farmers and trappers to the area. The local economy changed drastically with the building of irrigation systems from cattle farming to agriculture. Yakima, Washington hosts several festivals each year including A Case of the Blues and All that Jazz, held in August, the Central Washington State Fair in September, and the Folklife Festival in July. Yakima, WA has been home to several well-known people such as Kyle MacLachlan (actor), Robert E. Lucas, Jr. (Nobel Prize winner), Phil Mahre (skier and Olympic medalist), and William O. Douglas (Supreme Court Justice). The city is also home to the Yakima Symphony Orchestra. The local sports teams are the Bears in minor league baseball, the Yakima Mavericks in football, and the Yakima Sunkings in basketball. Yakima, Washington offers a variety of things to do for visitors and residents alike. Shoppers can enjoy malls, specialty shops, and antique shops where they can find anything from collectibles to vintage furniture. Those interested in the wine-making industry can tour one of the many wineries such as the Willow Crest Winery, the Bonair Winery, Kestrel Vintners, Eaton Hill Winery, and Chinook Wines. A great place to spend the day with the family is Fort Simcoe State Park. The park features beautiful scenery with a touch of Native American culture. It is located on the Yakama Indian Nation Reservation. Golfers can enjoy one of the many courses in Yakima, including River Ridge, Westwood West, Apple Tree, and Fisher Park golf courses. For biking and hiking, the Yakima Greenway offers ten miles of natural setting and developed parks for enjoyment. Sportsman State Park guests can enjoy 40 acres of developed land that features a childrenÌs jungle gym, a child-size fort, picnic tables, ponds for fishing, and more. Yakima, Washington also has several historic sites and museums including the Yakima Valley Museum, the Yakima Electric Railway Museum, Larson Art Gallery, American Hop Museum, and WashingtonÌs Fruit Place Visitor Center. At the Yakima Valley Museum, visitors can tour 65,000 square feet of exhibits about the Yakima Valley. The exhibits illustrate American Indian culture, pioneer life, early Yakima city development and more. There are more than 38,000 collected items, so itÌs well worth a visit! Other fun activities residents or visitors can enjoy in Yakima, WA are water skiing, rollerblading, skateboarding, go-karts, bowling, snowmobiling, river rafting, and ice skating. More information about Yakima, Washington USA can be found at the Yakima Chamber of Commerce website. Other popular cities we deliver to in Washington include Olympia, WA, Seattle, WA, Spokane, WA and Tacoma, WA.